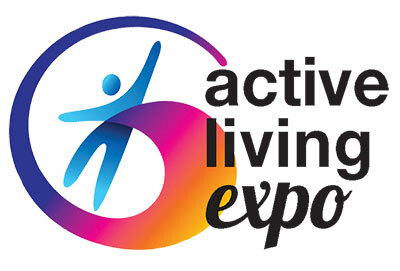 The Spokesman-Review will host the 2nd Annual Active Living Expo from 10am-4pm this Saturday, April 13 at Northern Quest Resort & Casino. Featuring a full day of informative speakers, free entertainment, and 50 exhibitors, the event offers something for everyone aged 55+ and their loved ones. Included on the list of presenters is MultiCare keynote speaker Dr. Shaun Peterson, a local orthopedic surgeon who will offer advice on restoring function and reducing pain. Lynn St. Louis, attorney and founding partner at Spokane's Elder Law Group, addresses protecting one's assets and estate planning, and AARP Fraud Protection Specialist Jon Louis will speak on how to protect oneself from fraud and identity theft. Rounding out presentations on the main stage is Eldonna Shaw, a teacher and coach at Food Flavor Fit. Shaw will share about how to prepare healthy meals in small portions in tight quarters. There will also be live music and yoga demonstrations. There will also be a spring clothing trends fashion show from Audrey's Boutique, wine tasting from Browne Family Vineyards, and a free photo booth sponsored by Villages at Stonehill. Expo attendees can also visit exhibitor booths focused on physical therapy, investment strategies, travel tips, exercise equipment, podiatry, eye care and eyeglass fashion, local book clubs, and even an on-site RV for those wanting to hit the open road. KHQ/FOX anchor Claire Graham serves as event emcee. Admission is $7, and a portion of ticket proceeds benefits senior programs at SNAP (Spokane Neighborhood Action Partners). More information can be found at spokane7tickets.com, where tickets may also be purchased.